“I bet there will be flying cars in the future!” We’re in the 21st century and a Jetsons-like life still seems quite far away. So, maybe we went a bit too far with this statement. Allow us to rephrase it: “I bet there will be talking cars in the future!” And here we are in 2018, standing face-to-face with the new Mercedes A-class. The ultra-modern car is so intelligent it can actually understand your personal needs. 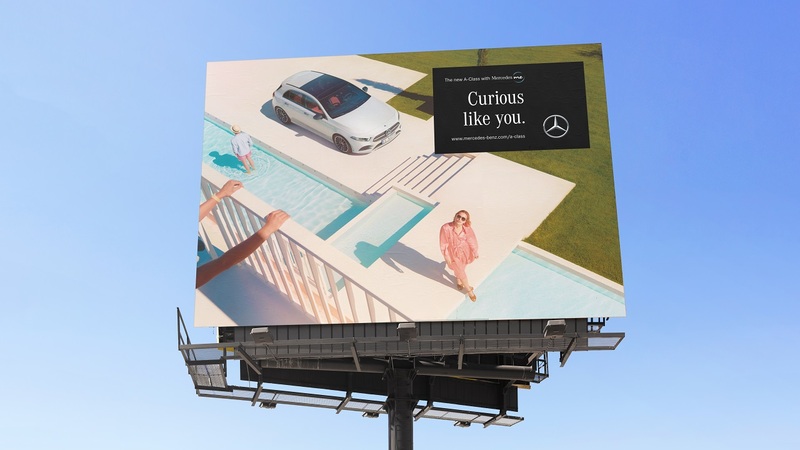 Thanks to its MBUX feature, Mercedes-Benz’s new car can now easily be confused with a good friend, one that knows all of your preferences and personal peculiarities. Got a secret? If you can’t keep it to yourself then share it with the new Mercedes A-Class because “you can talk to your car like you would to a friend.” Consider it as your trustworthy sidekick, one that adapts its strong personality to your needs, not the other way around. Plus, your secret is safe! 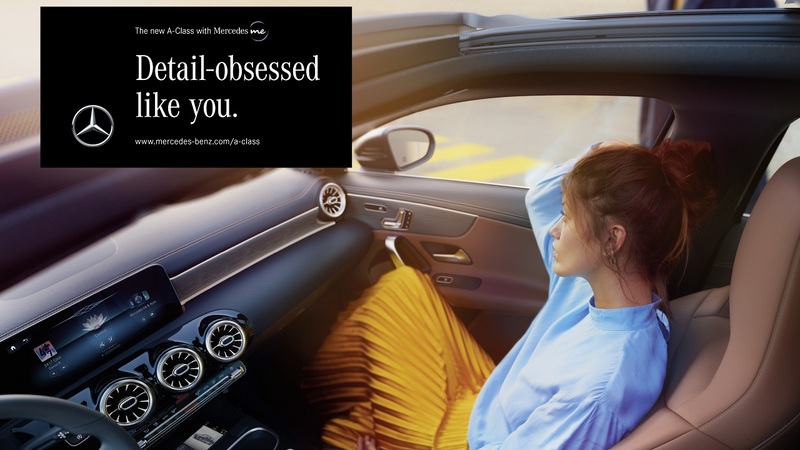 Simply put, the A-Class is “Just Like You” and blooms nicely around a 360-degree-content campaign. 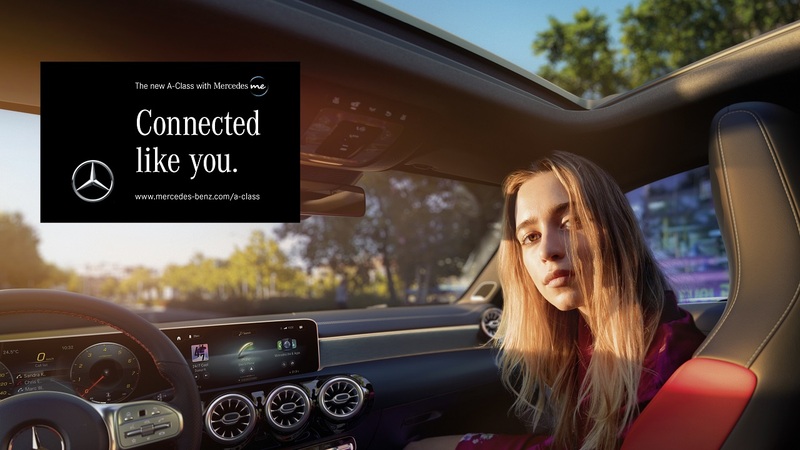 Coming right from the minds of antoni ad agency’s creative team, the campaign emphasizes the A-Class’s new MBUX control system in a fun and creative manner. The Berlin-based agency created four different spots for the Mercedes commercial, each focusing on a different feature of the friendly in-car assistant. The campaign’s centerpiece video wants to be “Like You” in a one-and-a-half-minute-long visual feast that evidently looks like a regular car commercial. 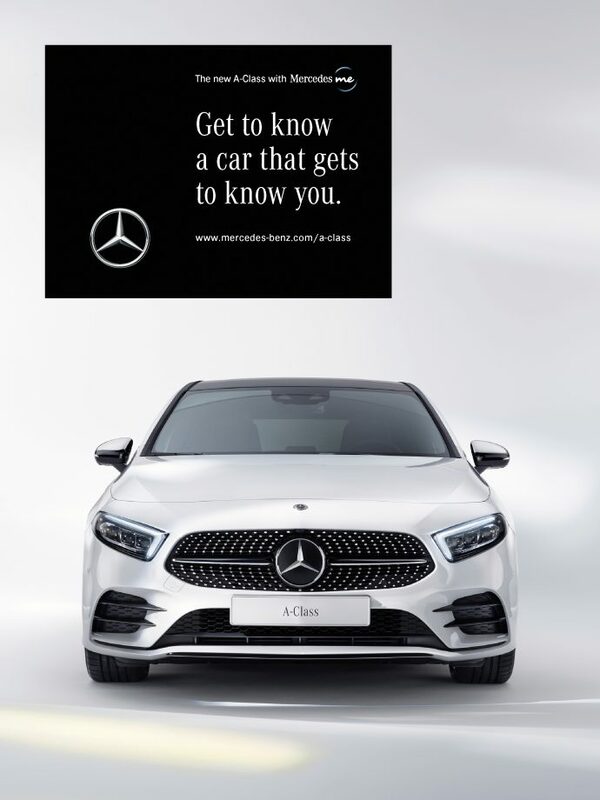 But as the short film unfolds, you will understand that this isn’t just an ordinary ad: the standard car-promotion images are replaced with fun stories that highlight the level of personalization of the new A-Class. In addition to the high-tech heroes showcased in the video—such as voice control, touch inputs, theme displays, and full personalization—there’s a real star that pops up right on time to provide some good music. Triggered by the driver’s voice command “Hey Mercedes! Play me some hip-hop,” Nicky Minaj magically appears in the front passenger seat snapping her fingers to her own music beats. 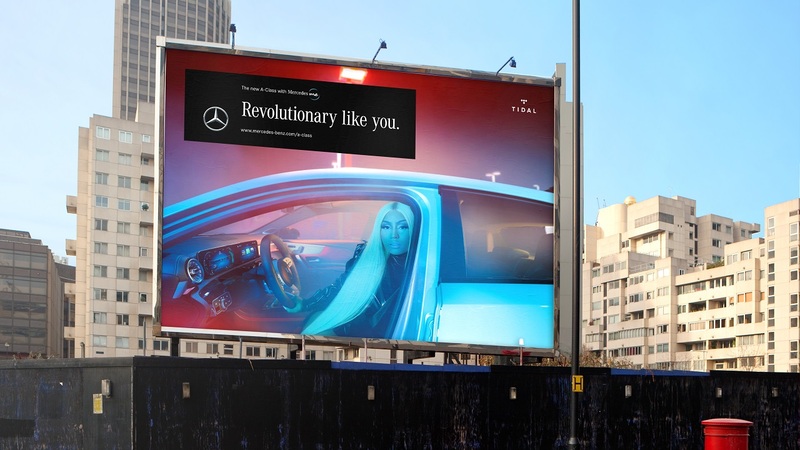 The American rapper’s cameo is part of the car brand’s partnership with Tidal. And if the first ad focuses more on the voice command option, the remaining videos draw attention to the rest of the features. Below you can watch spots for “Instincts,” “Touch,” and “Habits”. All films were directed by award-winning director Brian Beletic, whose portfolio includes music videos for Fatboy Slim or The Black Eyed Peas. Besides the hilarious short films, the campaign is supported by a series of images shot by photographer Tom Craig, in collaboration with stylist Bay Garnett. 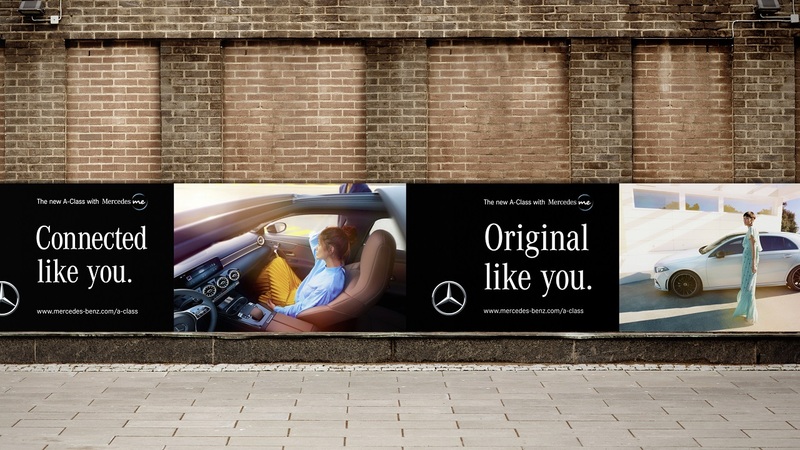 “<Just Like You> forgoes traditional auto advertising touches like grilles and wheels and winding roads. Instead, antoni placed people and their stories at the center of the work, using a light-hearted tone and a more human sensibility,” said the agency in a press release. Maybe it’s time to have your car personalized too? Let us know which feature you like the best in the comments!